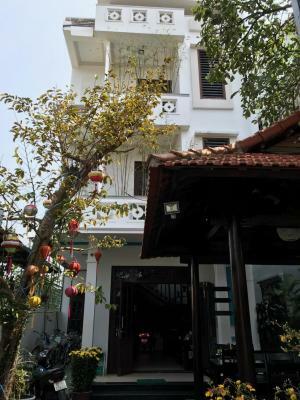 Lock in a great price for Cheerful Hoi An Hostel – rated 9.6 by recent guests! Breakfast was great, staff was amazing and the food tour organized by the owner had me stuffed! Great hospitality and great advice on what to see within the city! I can't recommend Cheerful Hostel enough!!!! 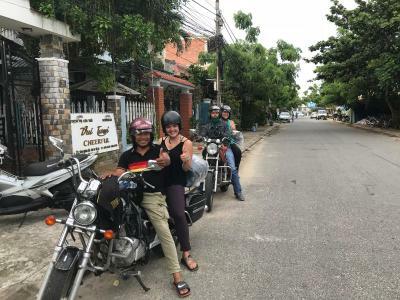 My Vietnamese Mama Hien is amazing, she looked after me when I had a motorbike accident, looked after me when I was crying, she took me to buy a matching necklace to hers to prevent any more bad luck and so much more. I was supposed to stay for 2 nights and stayed for a week and cried when I left. Hien was the highlight of my whole Vietnam trip and I will miss her!! We chose Cheerful based on the reviews. We can now confirm that the reviews are right, and then some. 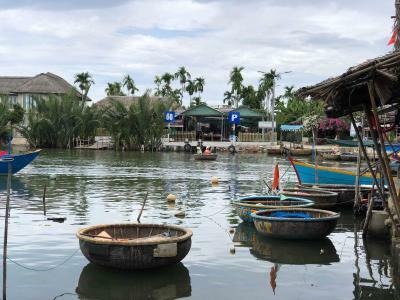 Staying here was one of our best southeast Asia experiences to date. Hien is a true angel. Her warmth, generosity and humour made it hard to say goodbye, and her passionfruit pancakes are legendary. Our room was more like an apartment. Everything was sparkling clean. Her food tour (just pay for your food) was the real deal. We loved the location, too. It's a quick bike ride/walk into town, but far away enough from the (very well-travelled) ancient town. One of the best hostels I’ve ever stayed in! Amazing community of people(social/relaxed- definitely not a party place if that’s what you’re after), clean, secure, great food. 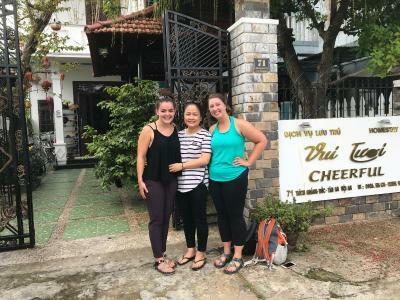 Hien makes everyone feel like family & goes out of her way to make sure everyone is happy, comfortable, & has everything they need - best hostel momma ever! The host was unreal! She went so over the top to make our New Years special. She really has a natural gift for hospitality. All the reviews are accurate, I would highly recommend. Location is great. Fifteen minute walk to the river. Biking distance to the beach. Hien, the owner, is absolutely fantastic. She goes well out of her way to help guests with even the most trivial things. Loads of great recommendations for food, tailoring, and things to see. Amazing hostel, great vibe, you really feel like at home. Our host cooked lunch for us, is always very helpful. Hostel is very clean. Highly recommended ! Amazingly cheerful (hah!) and friendly staff. So supportive, caring and helpful! The owner is a lovely lady. A few great restaurants around the place. Definitely recommend a stay, good value for money! 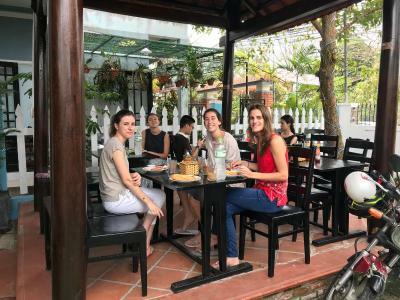 Nestled in the heart of Hoi An Ancient Town, Cheerful Hoi An Hostel offers peaceful and comfortable accommodations 2,300 feet from the city center. Housing a small garden, it provides complimentary parking space. Free WiFi in public areas. Fitted with a terrace/balcony, air-conditioned rooms feature a wardrobe, personal safe, mini-bar and flat-screen TV with cable channels. 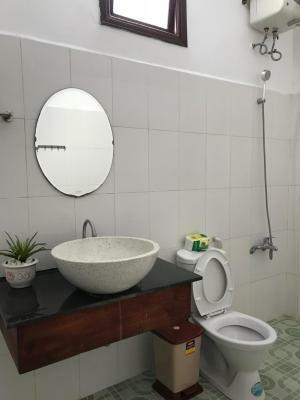 Offering shower facility, the private bathroom also comes with a hairdryer and free toiletries. 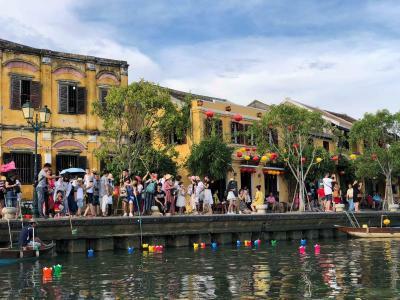 At Cheerful Hoi An Hostel, guests can approach the 24-hour front desk for assistance with luggage storage, currency exchange, laundry and ticketing services. Airport transfers and sightseeing activities can also be arranged. Food order is available upon request. Daily breakfast is served free of charge. 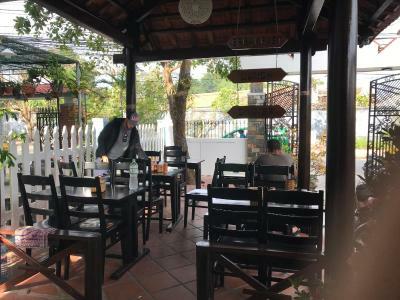 Guests can explore a lot of local dining options in the surroundings. 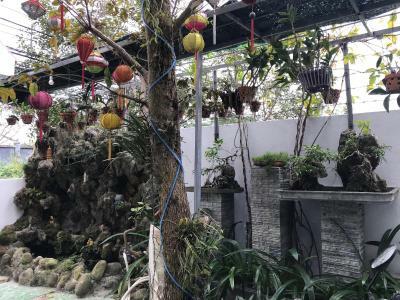 The property is about 0.8 mi from Hoi An Historic Museum and the Assembly Hall of the Fujian Chinese Congregation. An Bang Beach is 1.6 mi away. 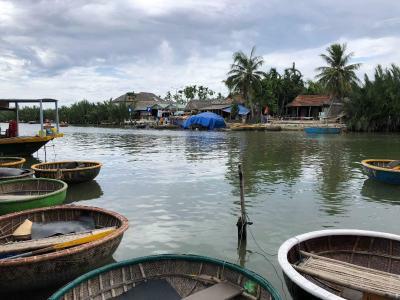 Da Nang International Airport is approximately 14 mi away. 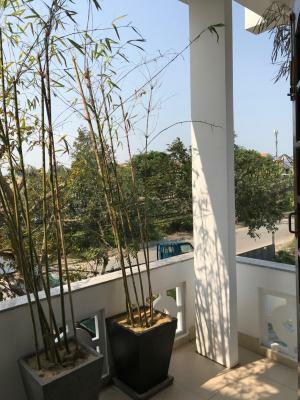 The property offers airport transfers at additional charges. 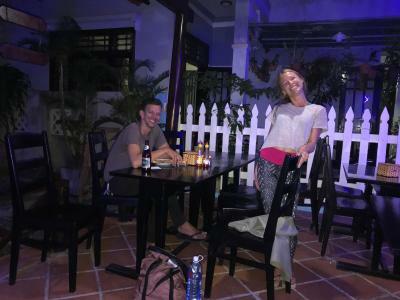 When would you like to stay at Cheerful Hoi An Hostel? Air-conditioned rooms feature a wardrobe, sofa seating area, a personal safe and a flat-screen TV with cable channels. Electric kettle and mini-bar are also included. Offering shower facility, the private bathroom also comes with hairdryer, bathrobes and free toiletries. 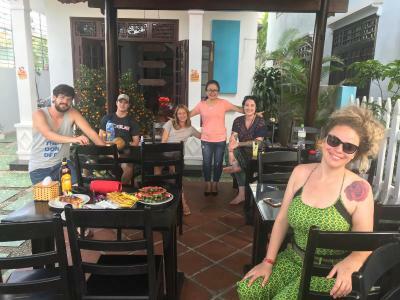 House Rules Cheerful Hoi An Hostel takes special requests – add in the next step! Cheerful Hoi An Hostel accepts these cards and reserves the right to temporarily hold an amount prior to arrival. 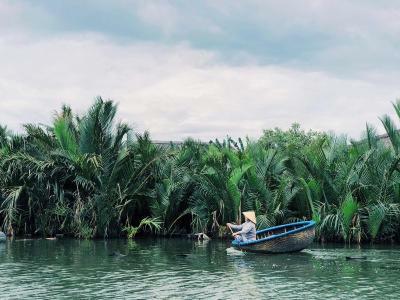 Please inform Cheerful Hoi An Hostel of your expected arrival time in advance. You can use the Special Requests box when booking, or contact the property directly using the contact details in your confirmation. There could be toilet roll stand and a place to put toiletries in the shower. Hien was amazing. Very welcoming and accommodating! 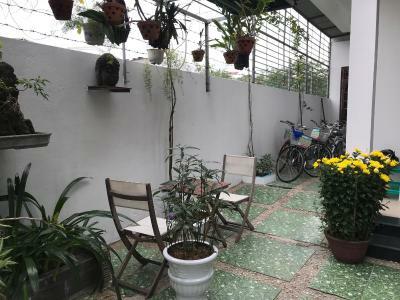 It is a homestay where you really come home! We really loved the passion fruit pancakes! Is is not so far from the city center and you can take bikes to there! The most friendly women ever she helps you with everything! super caring host mom who cooked us extra vegan pancakes and super delicious noodle soup! 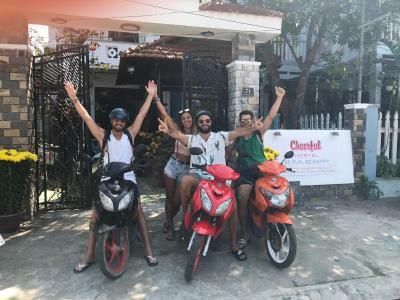 The hostel is also not that far to the beach as well as to the city. The hostel also offers cooking class and guided food tours. 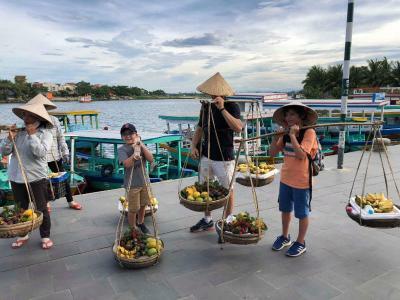 Really good place to stay in Hoi An, we felt in good hands with the host who is really toughful. We would highly recommend it. This hostel/homestay is amazing! From the moment I arrived Hien and her family made me feel welcomed and at home! She takes care of everything and everyone, mops the floor twice a day even if it’s spotless. She cooked lunch for all the guests on my first day (for completely free and the best noodles I’ve had in a long time) and even made me vegan pancakes every morning. 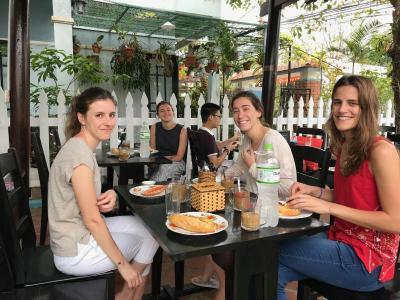 She booked us an amazing cooking class and we had a lot of fun on the street food tour as well. Her kindness brings everyone together and eventually you’ll feel like you’re all a big family and you’ll just keep extending your stay (at least that’s what I did haha). Cheerful hostel is like my vietnamese home and I’ll return for sure! 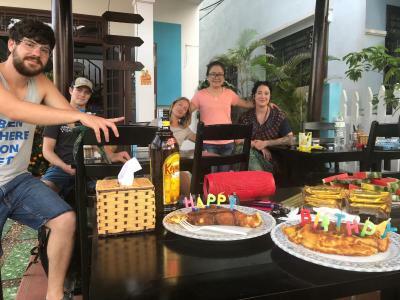 Hien, the owner, makes your stay at cheerful hostel more than just cheerful. She really loves the place and you can feel that love throughout your whole stay. Hien is super engaged, has a bunch of tips and organzies free events with and for the hostel. You're a lucky person if she cooks her famous noodles while your staying. They were truly one of the best dishes I had during my travels. 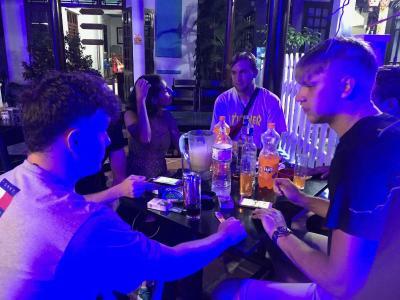 The hostel itself has everything you need, the rooms are clean, it's in walking distance to the center, yet in a quiet area. 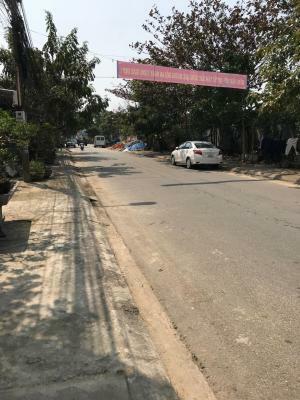 There's parking spaces for motorbikes and bicycles as well as scooters to rent. The pancakes with passion fruit for breakfast are amazing! cleanliness could be better, i sadly saw the maid not changing the duvet, while another person checked in. just AMAZING service! No more words needed. I don't normally bother writing reviews but this place deserves one. You should stay here!! The hostel is super clean and modern and Hien is literally like a second mum and looks after you so well. She goes above and beyond what is expected from a hostel host and is so helpful in helping you organise onward transport, bookings etc etc. 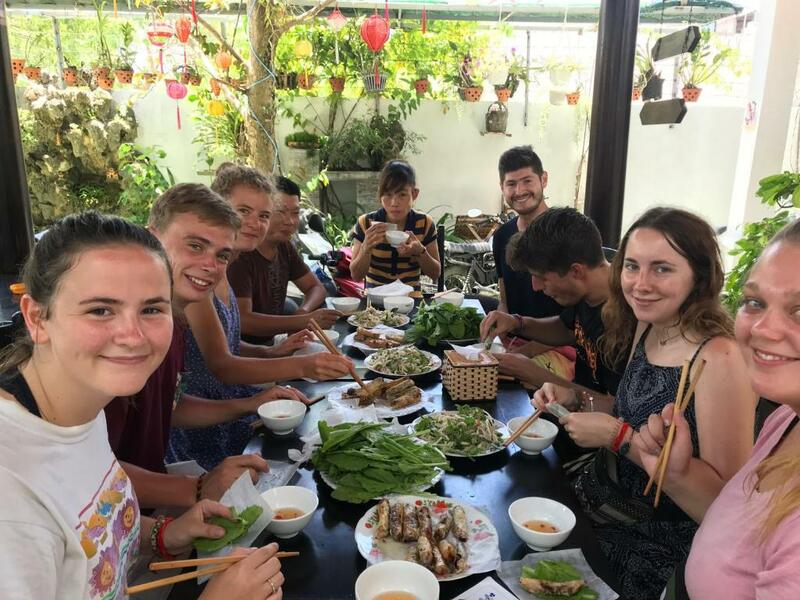 Hien organised for six of us to do a cooking class and it was fab (she has great recommendations). 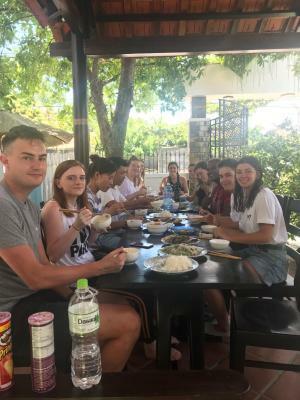 She also cooked us lunch one afternoon and took us on a great street food tour, which were both excellent ways to bring everyone from the hostel together. Thanks for an excellent stay Hien!! 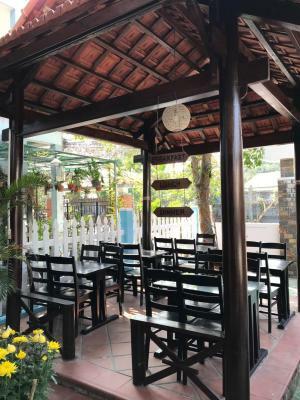 The hostel itself is a great place with a nice terrace, a little outside the center in a less busy street. There are plenty of bicycles which can be used all the time for 25k Dong per day. The old center is reached in 5 minutes. The beds are fine and the whole building is kept really clean. Hien is a lovely woman and very concerned about her guests. 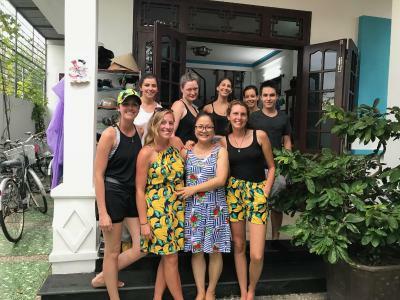 She does everything to feel everybody feel home and ensure her guests have a great time in Hoi An. 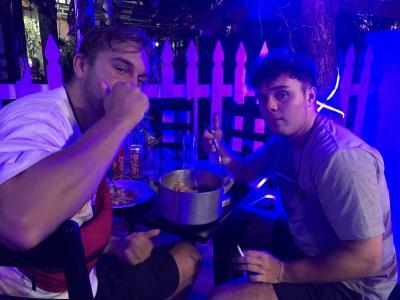 Often we had dinner together, or went out for the free street food. Hien knows the best places. Also, the social vibe is great. I planned to stay here just a couple of nights, but I ended up staying over a week. 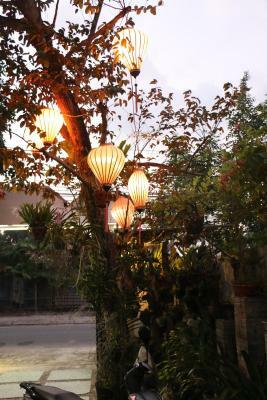 Once I come back to Hoi An, I'll stay here again.